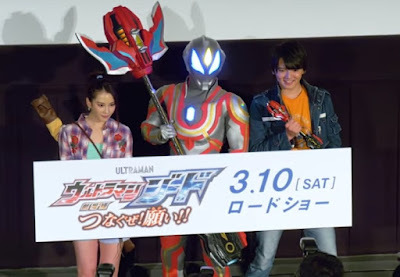 Check-out this press conference video for the upcoming Ultraman Geed summer movie featuring Ultraman Geed Ultimate Final plus an interview with Tatsuomi Hamada (Riku/Geed), Chihiro Yamamoto (Laiha Toba) and action director Koichi Sakamoto. Ultraman Geed The Movie! Connect The Wishes! will premiere in Japanese cinemas this March 10 2018.